Gov. Paul LePage wants education leaders to pressure lawmakers to pass his cuts to the Department of Health and Human Services’ budget. If they don’t, he said last week, he’ll cut education budgets. Rather than issuing threats, the governor needs to do some hard work first. He has rightly pledged to reduce government spending. This is overdue. But he has yet to come up with a comprehensive plan to do this. A budget-cutting task force has recently agreed on a list of ways to cut $25 million from the budget. This is a good start, but nowhere near completion of this task. Maine has a chronic problem of state expenditures exceeding revenue. Reversing this will require determining what services the state can no longer provide or must dramatically scale back. A good place to start this work is by prioritizing those services. Is funding education a high priority? Paying for medical care for the state’s poor? Maintaining state parks? Stocking fish? Policing the state’s roads? Inspecting dams? Once the governor has a list of priorities, he must rally support for it. This is his job, not the job of college presidents. Gov. LePage told members of the Higher Education Council that if lawmakers do not reduce Medicaid and welfare benefits, education funding will need to be cut to bring the state budget into balance. Gov. 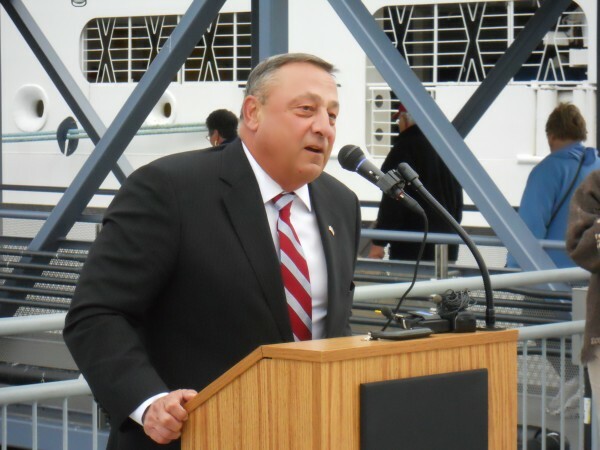 LePage urged the leaders of the state’s colleges and universities, public and private, to encourage their lawmakers to support his proposals to reduce Medicaid, called MaineCare in this state, and welfare spending. However, it is unclear what the governor’s proposal to reduce Medicaid spending is. His commissioner of the Department of Health and Human Services can’t even identify why the agency is now $70 million over budget. Gov. LePage has long made it clear he wants welfare spending reduced. But, again, what is the plan? He told educators that Maine should offer Medicaid benefits only to those who make 133 percent of poverty, not 200 percent — the limit set by some Maine programs. This sounds good, but there are consequences. Much of the Medicaid money Maine receives from the federal government goes directly to health care providers. Are they ready to accept less money? How many jobs will they eliminate if they receive fewer funds? Further, for much Medicaid spending, $1 of Maine money is matched with $2 from the federal government. This magnifies the effect of cuts. And those who get Medicaid benefits won’t suddenly be healthier. They will still need medical care, much of which will come from emergency rooms, the most expensive place to provide health care. They will also wait for treatment until they are really sick or injured, further pushing up costs. Gov. LePage is right that state spending must be reduced. But before he threatens one group with cuts if they don’t back reduced funding for another, he and his staff must develop a comprehensive spending reduction plan. Then, he must convince lawmakers and the public that his plan is the right one.